May - 06 | By: POWFest | no comments. The Portland Oregon Women’s Film Festival (POWFest) is now accepting entries for its eighth annual festival scheduled to take place March 12 – 15, 2015. The regular deadline for entries is Friday, August 15, 2015. POWFest places a spotlight on women directors by showcasing their work and empowering the community of women in film. 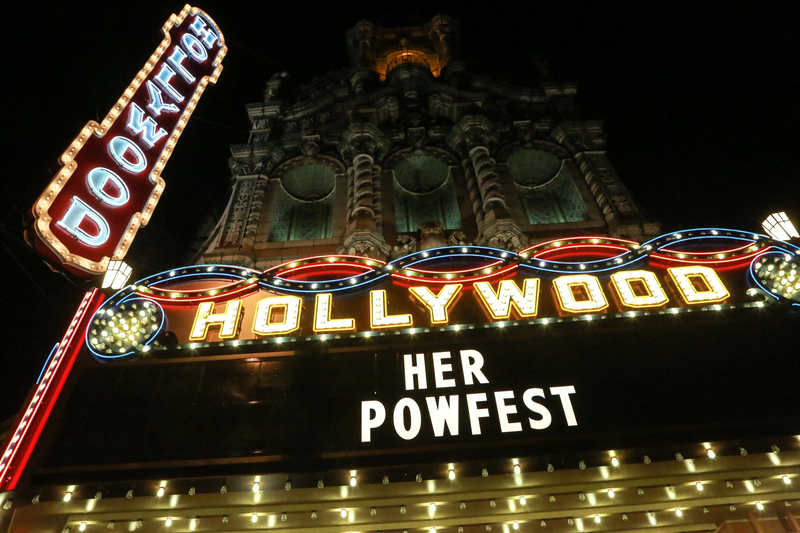 POWFest encourages women to find their voice and to share their stories through innovative and quality filmmaking. We feature the work of today’s top women directors, honoring the true pioneers while providing support and recognition for the next generation of leading women filmmakers. Past Guests of Honor include: Allison Anders, Kathryn Bigelow, Gillian Armstrong, Amy Heckerling, Barbara Kopple, Penelope Spheeris, Ondi Timoner and Joanna Priestley. Films must be directed or co-directed by women and can be of any length, style, or genre. Detailed information about submitting films can be found at www.powfest.com.